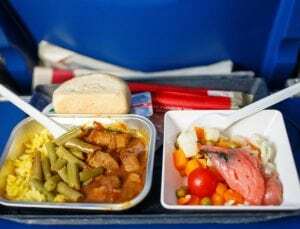 Opinion: Are 'Moslem meals' on board flights halal-certified? You are here: Home » Regional news » Asia » Opinion: Are ‘Moslem meals’ on board flights halal-certified? When offered meal options on airlines, have you paused at the checkbox for “Moslem meal”? Ever wondered about the incongruity in offering followers of Judaism a kosher meal but a Muslim doesn’t get a specifically termed “halal” choice? Airlines offer three main types of ‘religious meals’ on board: Moslem meal (MOML), Kosher meal (KSML), and Hindu meal (HNML). MOML is meant to refer to halal meals, KSML to meals that conform to Jewish religious laws, and HNMLs are non-vegetarian meals suitable for Hindus.